Today's card was an experiment... but I can't really say what that experiment is until tomorrow. I guess that means you'll want to come back to my blog tomorrow, right? 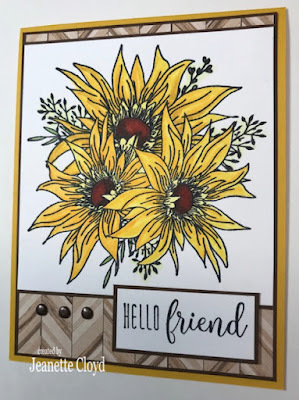 The gorgeous flowers (and the sentiment, too) on this card are part of the Unity Abundant Blessings stamp set. This set is one of my favorites, which isn't surprising, since Unity is most likely my favorite stamp company. And I'm so ready for flowers. I know it's January, when I should be thinking of snowmen... but I am a warm weather gal who loves to color flowers. Love that fun paper in the background. 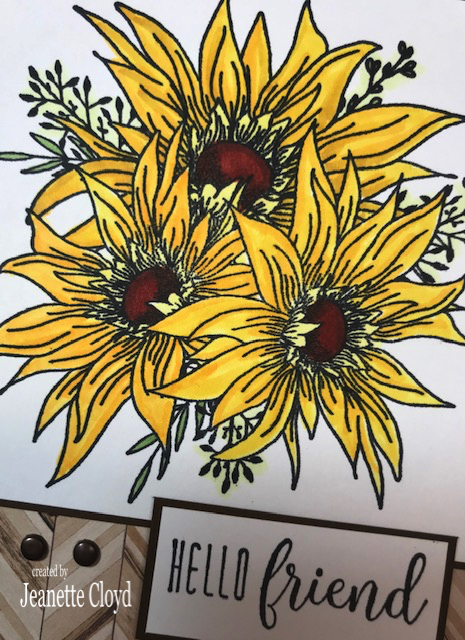 Your flower coloring is gorgeous! I love flowers in January. beats snow any day of the week. LOL! 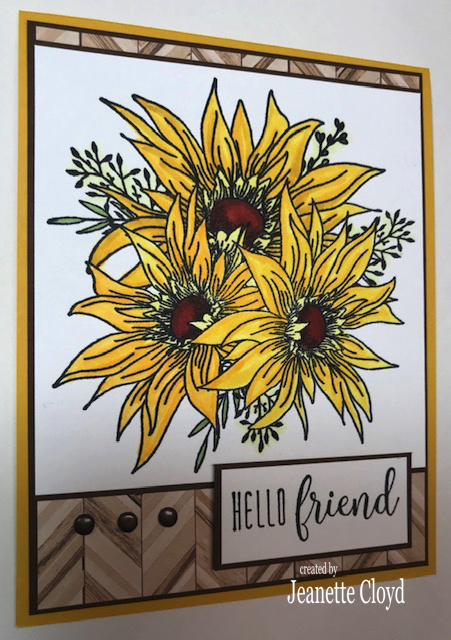 What a bold and beautiful stamp Jeanette and so beautifully coloured too! This bright yellow blossoms bring me such cheer! !